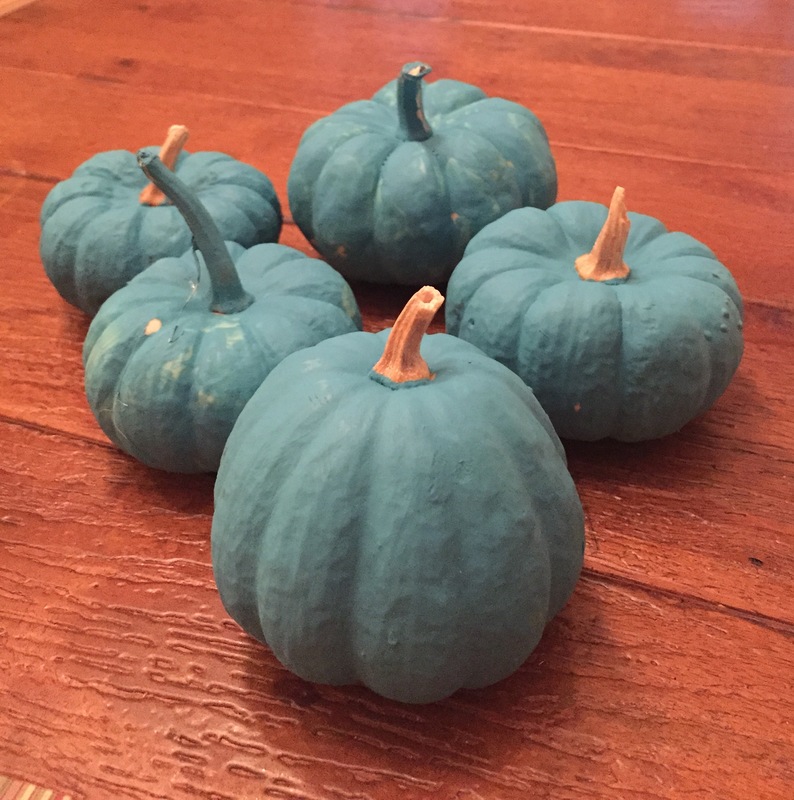 Have you seen teal pumpkins popping up on porches across your neighborhood? It’s not the latest decorating fad (although I do love the color), these pumpkins symbolize an important initiative to keep kids with food allergies safe at Halloween- The Teal Pumpkin Project. By placing a teal pumpkin at your house you commit to offering non-food treats at Halloween – a great way to ensure a safe and fun night for those who could suffer life-threatening consequences from ingesting allergen containing candy. In fact, 1:13 children have a food allergy. With numbers this high, it is a given that some of your trick or treaters will have food allergies. Step One: Get a Pumpkin and Paint it Teal. I have found that acrylic paint and white pumpkins work really well (although orange pumpkins can be painted too!). Don’t have time to get and paint a pumpkin before Halloween? No problem! You can also download this flyer from FARE, a national organization that supports food allergy research and education, and display it on your front door. 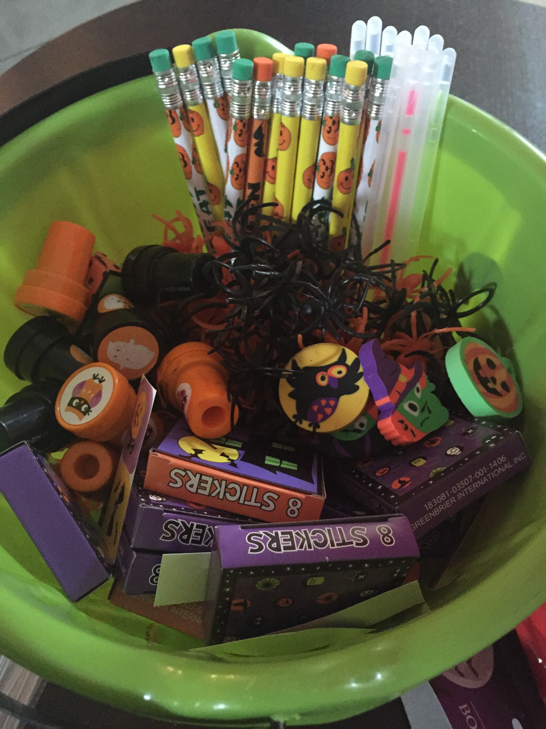 There are lots of great options to offer as non-food treats for the Teal Pumpkin Project: bubbles, stickers, glow sticks, spider rings, temporary tattoos. And, if you participate in the Teal Pumpkin Project, it doesn’t mean that you can’t offer candy too. 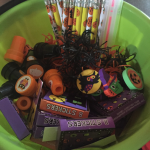 Just keep your candy and non-food treats in separate bowls. Want more information on the Teal Pumpkin Project? You can find it here. Do you need more information on food allergies or assistance managing life with food allergies? Check out my company, Thrive On Consulting. 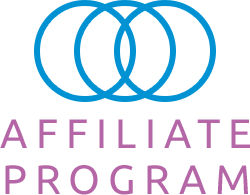 icated to helping everyone Thrive On with food allergies.